St. Patrick's Day & Hauntings that Surround it! | Ghost Talk with 187 P.I. St. Patrick's Day & Hauntings that Surround it! Shelly shares the history, legends & lore surrounding St. Patrick's Day. i never knew that about "kiss me i'm irish"
Sorry Debi, I may have spelled your name wrong to her. Debbie I will ask her! do you know about the Houston, Texas serial killer? we talking about ghosts today? 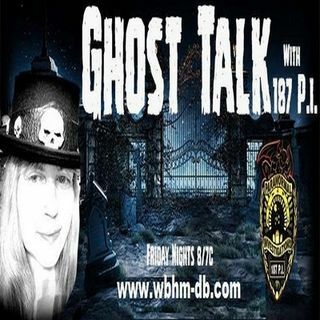 Welcome to the Ghost Talk Radio with 187 P.I. Spreaker Chat!